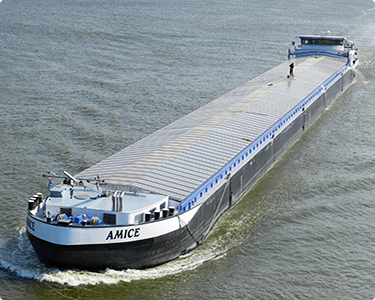 On this page you will find a complete overview of our ships / vessels which are currently active in inland navigation shipping, complete with comprehensive details of every ship including length, width, draft and tonagge. Sister ship of Vigilia, owned by van Gent Scheepvaartbedrijf. This is the company of Xander and Kees van Gent, brother and father. Inland navigation in Europe is divided into so-called CEMT classes due to the dimensions of waterways in Western Europe. The classification is determined by the European Conference of Ministers of Transport (hence the term ECMT). For each class the maximum ship dimensions are defined. Knowing these classes onboard is useful, because a skipper for instance needs to know which channel is too narrow or where the locks (floodgates) are too short for his ship. The ship / vessel types are represented in all classes. There are dry cargo ships of the size of a 'spits', but also of the size 'Groot Rijnschip'. Also tankers come in all classes (and thus various sizes) for it. Alongside rivers and canals are also 'kunstwerken' part of the waterway infrastructure. Bridges and locks (floodgates) are considered 'kunstwerken', but also weirs, dams and ship lifts (Belgium, France). The function of the bridges is to form a compound for traffic, for example at places where the water crosses. Other 'kunstwerken' have a water protection or waterway management function. Due to height differences between rivers and canals are locks neccesary. A 'schutsluis" is the best known implementation of a lock. It is a work of art which makes it possible to bring ships from one water level to a completely different water level. A ship can be 'opgeschut' or 'afgeschut', respectively raised or lowered. A 'schutsluis' consists out of 'schutkolk' or 'sluiskolk' and on both sides lockdoor. The 'schutkolk' is the space between the two sets of doors of a lock. 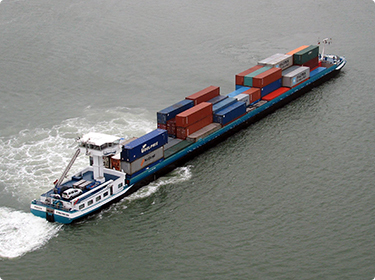 The different 'kunstwerken' affect the utilization of the waterway infrastructure by inland and largely determine the maximum ship dimensions in waterway routes. In addition, size and maintenance of the waterways determines the size of the barges. The vertical clearance at bridges forms a specific aspect of the infrastructure for inland waterway navigation. But the dimensions of the 'schutkolk' determines the CEMT class of a waterway so that ships can pass here. 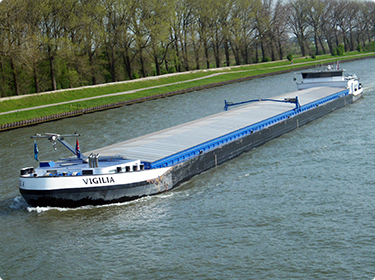 Follow Vigilia Shipping BV also on Twitter!